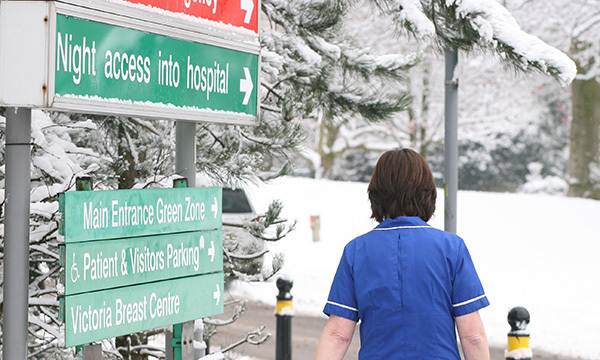 Nurses have been praised for their dedication in recent days as snow and ice brought some parts of the UK to a standstill. Some nurses walked miles in snow, dug their vehicles out of drifts and slept in hospitals to ensure patients continued to get the care they required. While the snow and ice has mostly cleared across the UK today, parts of Scotland are still experiencing challenging weather. England’s chief nursing officer Ruth May praised NHS staff for going to ‘extraordinary lengths’ during the freezing conditions. 'The dedication of nurses, midwives, ambulance workers, doctors and all health and care staff is something that we should be proud of,’ she said. Social media users also hailed nurses’ efforts, and nurses themselves posted photographs of their journeys to reach patients. Will 2020 be the official Year of the Nurse?